베니스, 이탈리아의 카사 밈마 | 호스텔월드에서 예약하세요. 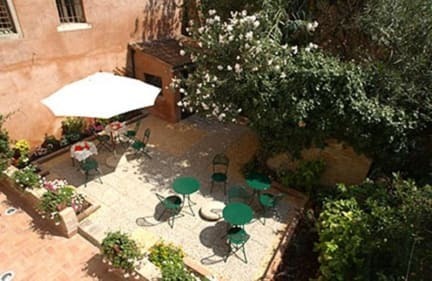 Casa Mimma is located in the heart of Santa Croce Sestiere, a characteristic Venetian quarter, just a short distance from the train station and Piazzale Roma. 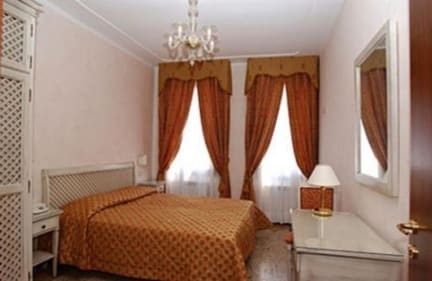 Our B&B is a typical Venetian residence that combines peace and tranquility with the convenience of being easily reached from wherever one arrives. From here, you can get anywhere in Venice within a few minutes whether by foot or by boat taking a vaporetto. The Santa Croce quarter, where Casa Mimma is located, is rich in amazing architecture full of beautiful places that surely merit the attention of tourists. These include the Church of Saint Eustache facing the Grand Canal, the Scoletta dei Tiraoro e dei Battiloro, the Church of San Simeon Piccolo, Campo Santa Maria Mater Domini, and a whole lot more. From Casa Mimma, you can reach Venice's only street, the Strada Nuova, which runs along the Grand Canal, directly linking the train station to the city centre.